Sitting on Empty Pizza Boxes? Make Some Art! Got any extra pizza boxes sitting around your home? Looking for a way to get rid of those cardboard squares without tossing them in the trash? Well, here’s something you can do the next time you find yourself with excess pizza boxes. 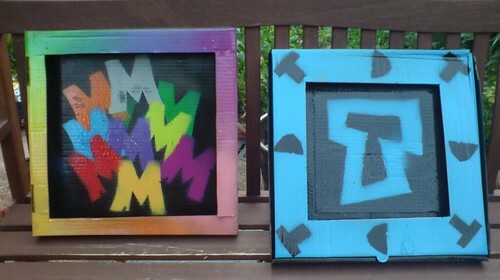 Turn your old boxes into works of art. Simply take the pizza box and use it as an arts and crafts frame. This is a project that can be fun on a rainy day for kids, or if you are out of supplies but still want to create something unique. Looking for a great pizzeria in Las Vegas? Visit Pop Up Pizza today for the best pizza in Las Vegas. And leave us a comment: what’s your favorite pizza in the world?